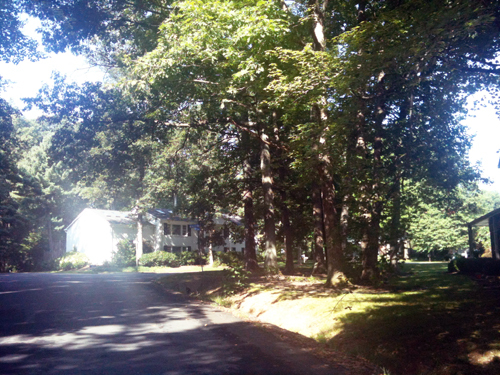 Paddock Lane in South Reston is a quiet, wooded neighborhood of single family homes. Tucked behind Reston Parkway and Glade Drive in South Reston is a cluster of neighborhoods perfect for families who want space to grow. Paddock Lane is one of these lovely neighborhoods with something for everyone. Built in the late 60s and early 70s, Paddock Lane is a community of single-family homes on quarter- to half-acre plots. The styles of homes range from Colonial to contemporary--there is no cookie cutter feel in this neighborhood. In addition to the well-kept homes and yards, one of the most appealing aspects of Paddock Lane is it's location. Located off Colts Neck, Paddock Lane is across the street from Hunters Woods Elementary School--an easy walk for young children. It is also walking distance to Hunters Woods Village Center, home to the Reston Community Center. There are several parks, a community garden, tennis courts, and the Hunters Woods pool also within walking distance. 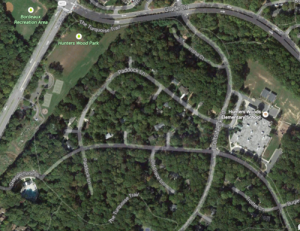 Paddock Lane is only a few short miles to the Dulles Toll Road or the Fairfax County Parkway, which is nice for commuters. This is the perfect street for anyone looking for a little bit of land, a friendly neighborhood, and easy access around Reston.